A long trip is a serious test for your FORD vehicle and even a small problem such as out-of-balance tire or a faulty battery can cause a lot of troubles. These seven items are better off inspected by a mechanic in our FORD dealership with the vehicle on the lift. Remember that a FORD vehicle in top shape will have a better chance of staying reliable and efficient. Inspect tires for any tears or bulges in the side wall. The tires should have a good amount of tread left. The minimum legal tread depth is 1.6mm across the central ¾ of the tyre, all the way around. Get the pressures right at a garage - if they're wrong you'll burn more fuel, wear the tyres and suffer poor handling. Don't forget to check your spare tire as well and be sure the jack is in good condition. Stay charged. Batteries can fail any time of year. The only accurate way to detect a weak battery is with professional equipment. Check battery to make sure it’s strong and has clean terminals: A road trip is no fun if the car won’t start. Batteries should be tested 1-2 times a year in normal weather and more frequently in hot or cold weathers. Ford Motor Company (FOMOCO) batteries, supplied by our Ford dealerships, have passed the rigid accreditation processes from across the globe giving you peace of mind on its quality. FOMOCO batteries offer the same warranty coverage as local batteries. Visit a participating dealer near you for more information. Drive and breathe in peace with clean Ford Pollen FILTERS. Enjoy a cleaner aircon filter for the safest atmosphere in your Ford vehicle. Each vehicle has an Aircon filter called the "Pollen Filter." It takes out the grime and dirt from the air outside before it goes into your car through air-conditioning. Your Ford vehicle's Pollen Filter is top-notch-made from leak-proof polyurethane resilient enough to minimize damage from oil and moisture. It's meandering layers give more surface area for superior filtration, which removes up to 90% of particles larger than 3 microns. For your reference, a grain of sand is 90 microns. But like every high-quality car part that does the job, filters need replacing every once in a while ,usually every 6 months. Not only will you have a healthier environment in your vehicle, you'll also be saving up on horsepower as using dirty filters use up more energy. This should be inspected as recommended in owner’s manual, or sooner if you notice pulsations, grabbing, noises, or longer stopping distance. Minor brake problems should be corrected promptly. It’s so hot in the Philippines. A marginally operating system will fail in hot weather. Have the system examined by a qualified technician. 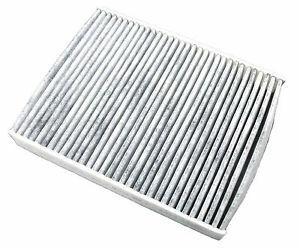 Newer models have cabin air filters that clean the air entering the heating and air conditioning system. All fluids are at their proper levels and you have a full tank of gas. Without oil your engine will overheat, weld itself together and self-destruct. Go through all your lights – indicator, brake, dip, full beam, fog and so on – one by one. Either get a friend to watch for blown bulbs, or park by a white wall or shop window one night to see them yourself.